We have over 30 years experience in the uPVC doors industry and have supplied hundreds of different door styles across south Wales.We offer an impressive selection of door styles are all are fitted with a 6 point high security lock, double glazing, toughened glass and reinforced frames, ensuring your home is secure. 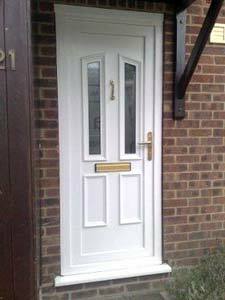 Each of our uPVC doors is tailor-made and designed to be an elegant eye-catching introduction to your home. And because each one of our doors is custom designed and manufactured to your unique tastes, our prices are dependent on your specific requirements. We are happy to discuss the door design with you first and take some measurements. That way we can give you a definitive quote so you're sure of the door you want and the value of the price you're paying is clear. 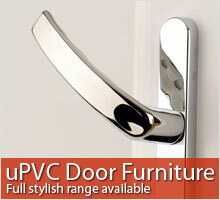 A full 10 year guarantee comes as standard on all our UPVC doors.